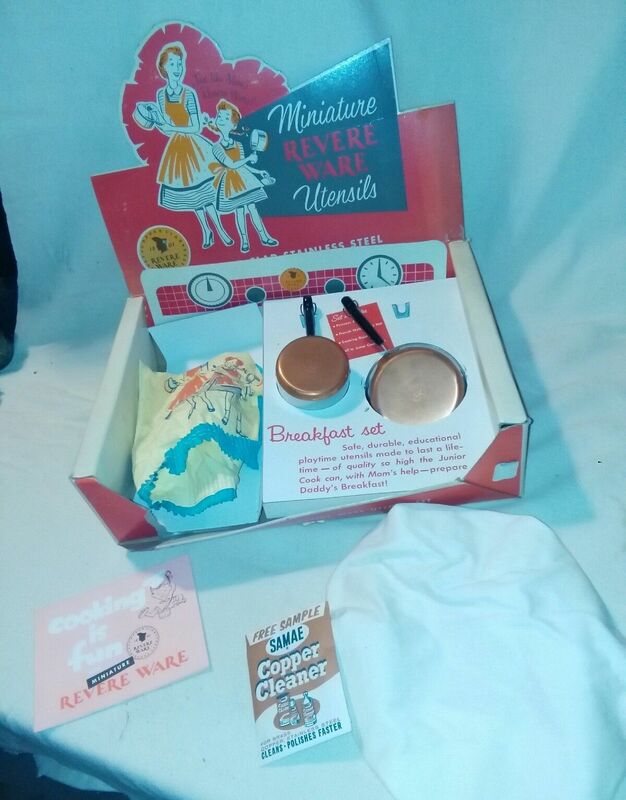 Here is a lovely kids Revere Ware set on eBay. We don’t see these that often. We purchased one a few years back and our kids have loved playing with it ever since; one pot remains their favorite shower toy. To our knowledge, they don’t make these anymore, so any you might find are left overs from another era. 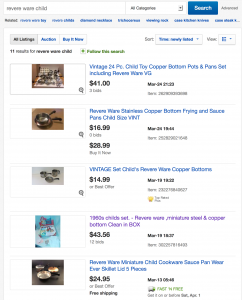 There are currently 11 child related Revere Ware listings on eBay.